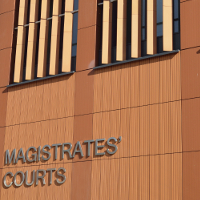 On May 15, at Laganside Magistrates Court in Belfast, Gareth Henry was prosecuted by the Security Industry Authority (SIA) and found guilty of working without a licence. The SIA were alerted to Henry’s behaviour in October 2017 by the Police Service of Northern Ireland (PSNI). They had received reports of Henry using excessive force at a bar on Dublin Road, in Belfast. SIA investigators visited the venue where Henry worked and discovered that he was working without a licence. SIA investigators discovered that Henry had previously held a licence, but that it had expired in 2013. He was cautioned for working without a licence in 2016 by the PSNI and in response submitted an application to the SIA, which was refused. At this point Henry changed jobs. “The SIA exists to protect the public, and our licensing regime is designed to ensure that those individuals who may represent a risk to the public are not able to work lawfully in the security industry. The fact that this case was brought to our attention through an allegation of excessive force only serves to highlight the risk to the public through the use of unlicensed security operatives.